Ever wanted to record or stream all your gaming sessions but not known how or had the equipment to do it? Well, you'll be wanting to enter today's Christmas Countdown Competition then. 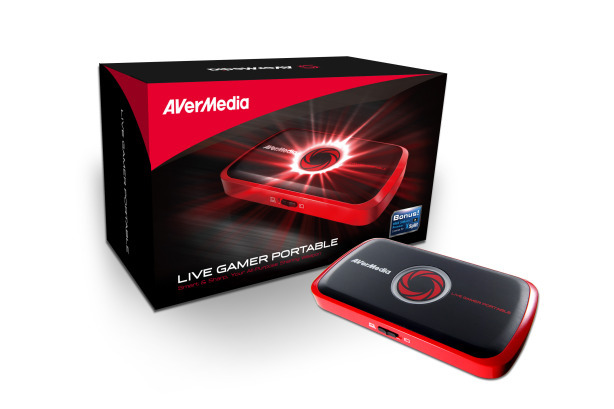 Today's prize is a Live Gamer Portable (LGP) video recorder made by and provided by Avermedia. This portable device will recorded at up to 1080p from any HDMI or component video source, making it compatible with PC, PS3, PS4, Wii U, Xbox 360 and Xbox One. It can work both attached to a PC and independently, with just a tap of the big red button on the top being all that's required to start recording. Power is conveniently provided by miniUSB while video can be stored on SD card. What's more, it's compatible with a host of live streaming services, including OBS (Open Broadcaster Software), FME (Flash Media Live Encoder – Adobe), and Wirecast. You can of course record and stream at the same time too. What latency does the LGP claim to record below? Simply email your answers to competition@bit-tech.net, putting "Christmas competition 8" as the subject/title. · Emails must be received by midday (GMT) 12th December 2013 to qualify.